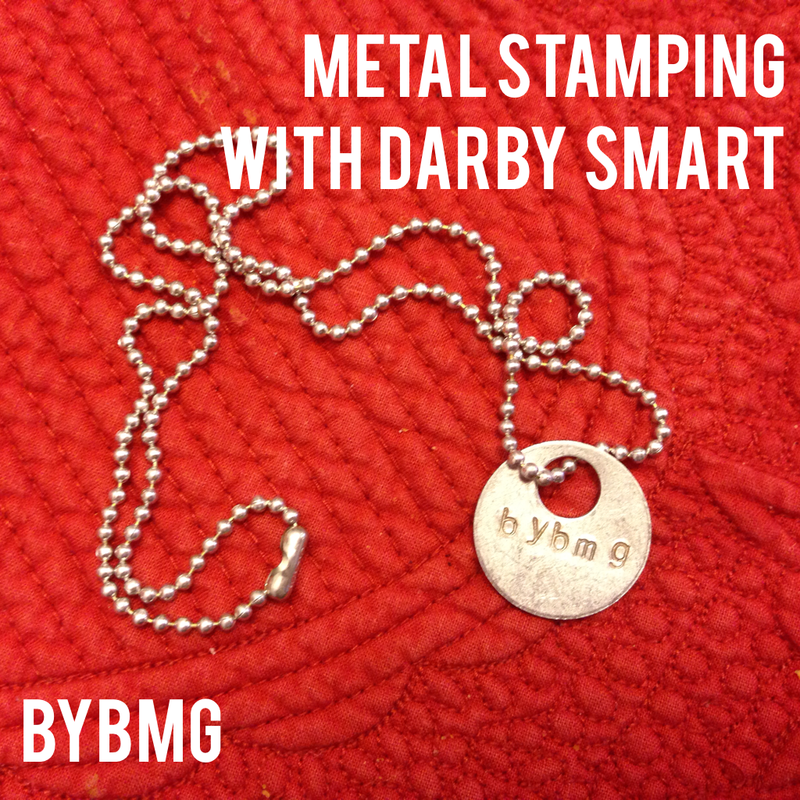 April's surprise Darby Smart box was metal stamping. I almost squealed when I opened it because it's another of of those things I've wanted to try, but never took the time to collect the supplies for. The box included almost everything I needed: hammer, alphabet metal stamps, a metal piece to place under the item to be stamped, and metal charms to stamp. The only thing I had to get was some tape, and I had some from when we painted Henry's room. I taped the disk to the metal piece and drew lines where I wanted the letters to go to make sure they were evenly space. Then I placed the stamp on top of the disk, did a few direct hits with the hammer, and stamped in my letters. That's it! I can't wait to wear the necklace. I want to get a number stamping set to make a necklace with important dates in our family like our anniversary and birthdays. I also want to get some spoons to stamp. I love all of the cute ideas I see for that online. I think they would make great gifts, too! The only tiny downfall of this project is that it's momentarily loud. I do most of my crafting during naptime or after the boys go to bed, so it looks like I'll be taking my metal stamping to the garage if I do it during those times! I got this box for $19 because that's the cost of the monthly surprise to DIY for box. If you want to start stamping with Darby Smart, they do have a spoon kit available here. Also, if you come back next week, I'll share another Darby Smart project with you with an exclusive coupon code!